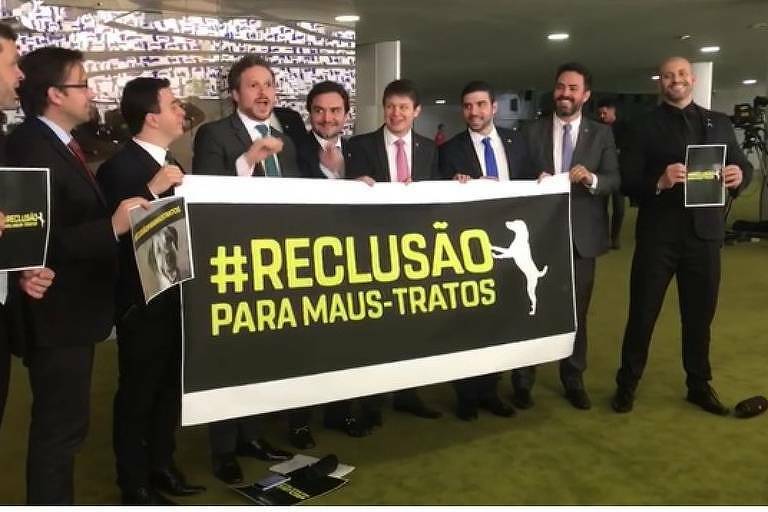 As representatives from Franco's party PSOL and other left-leaning political parties began the ceremony, other Congress members entered the same hall to stage a protest supporting animal rights. Some, like Daniel Silveira (PSL) were using speakers with barking sounds. Silveira is known for his scorning gestures right after Franco's death. "I didn't know about the ceremony honoring Marielle," he said and denying he had any intention of disruption. "Actually, it bothered me because I know they [the PSOL representatives] were going to use the barking to say we were mocking them."